Parents of children interested in sports and fitness may wonder what age can you start lifting weights? The answer will depend in part on the child and his or her fitness level. Fitness is an important part of overall health, and fitness in children is no exception. Organized sports and exercise for children begin at early ages, and getting kids involved is important. The lessons and joy of movement learned are habits that can be carried with them through their lives. The recommendation by the National Strength and Conditioning Association or NSCA is that children as young as 7 or 8 can begin performing strength training exercises. Guidelines recommend that as soon as children are participating in team sports they are old enough to begin strength training as well. Follow these guidelines to determine if your child is ready. The child is interested, willing and motivated to perform the exercises. The child is able to perform the exercise in a safe, correct form. The child is capable of performing exercises which uses the body as resistance, such as sit ups or push ups. Take care when starting children on weight training routines. An adult beginner and a child beginner will have two very different sets of goals, techniques and capabilities. Before adding weight to a child's strength training routine, or increasing the weight already being lifted, make sure they can safely complete at least eight reps correctly with the given weight. Before moving up to the next level, a child should be able to complete eight to 15 reps easily and without strain. If a pre-adolescent is beginning a weight training routine, the focus should be on fitness, not bulk. Pre-adolescents' muscles are not designed to grow large or bulk up, so expectations of what strength looks like should be adjusted accordingly. Children should perform approximately six different exercises two to three times a week that work all major muscle groups. Adding additional workouts or weight training will not increase benefits and can lead to muscle strain. When adding free weights or weight equipment to a child's exercise routine, make sure that proper supervision is given. To lift the weight safely, make sure that the child has been instructed on proper form with no weight or resistance before adding a safe amount of weight. While weight training is a great way to add to a child's fitness routine, it should not be the only component. Make sure to include plenty of aerobic exercise as well to strengthen the heart and lungs. Weightlifting can be safely carried out by people of any age from young children to the elderly. Make sure that before you or your child begin a new weightlifting routine, that you take the following steps. Get a physical and a doctor's clearance. Get instruction on how to use equipment properly and safely. Provide proper supervision and spotting available at all times. Learn proper warm up, cool down and stretching techniques to avoid injury or muscle strain. Work at your own pace - do not increase weight or resistance until you are safely and easily able to do so. Parents and children wondering what age can you start lifting weights are taking a great first step toward a healthier future. Make sure that the person in question is ready, both physically and mentally, for the challenge, and in the case of children, that they remain motivated to continue lifting safely. 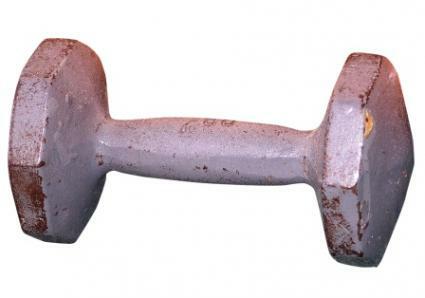 Add weights to a fitness routine and increase strength, health, flexibility and overall fitness for life.